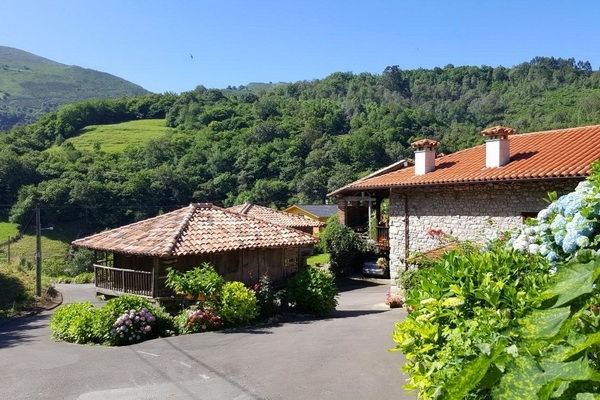 A 300 year old Asturian house with two traditional raised granaries (hórreos), set in a quiet and idyllic location, surrounded by mountains, woodlands and magnificent scenery. 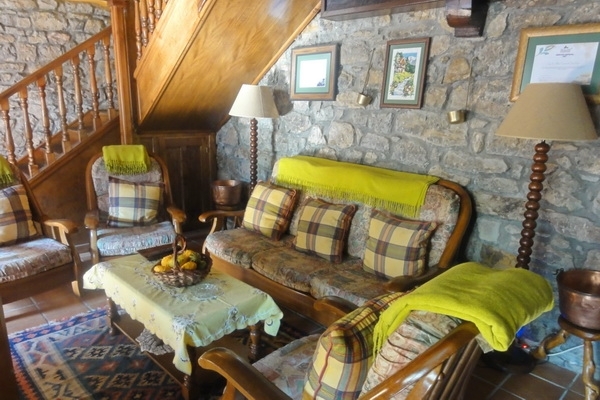 The house has been lovingly restored and has a very cosy feel, with a combination of rustic charm and all the modern amenities you need for a perfect stay. 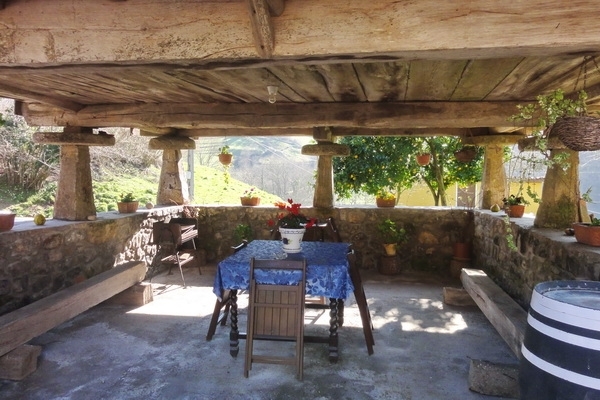 The granaries in front of the house serve as an outdoor covered terrace with table, chairs and barbecue, and as a picturesque and original carport. 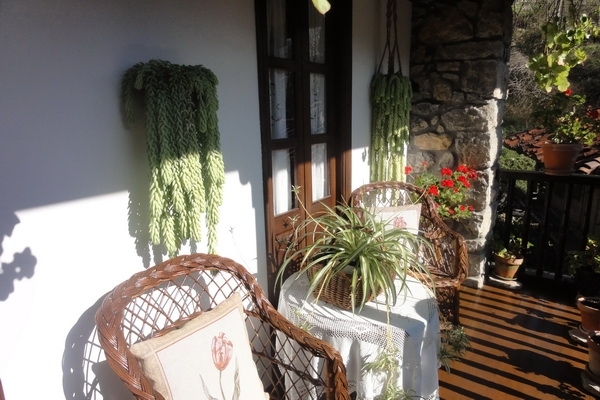 The small garden to one side of the house is ideal for relaxing with a good book or simply enjoying the tranquility and peace of the surrounding countryside. 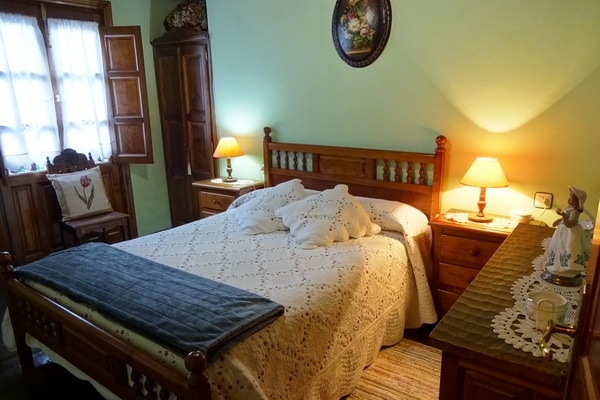 Although just a 20 minutes' drive to the beach and eight kilometres to the popular town of Posada, you are in a very peaceful spot here, ideal for keen walkers who will find a variety of scenic routes including a two kilometre long walk through a private forest. The Cares Gorge, one of the star attractions of the Picos de Europa, is just half an hour’s drive and the Lagos de Covadonga within easy reach. Ideal for those who enjoy country life, but want to be within easy reach of the lovely beaches and fishing villages nearby. And should you be hungry on your arrival, then you can always satisfy your hunger with some of the homemade cake and jam (and if the hens are up for it, even some eggs) that will be waiting for you. 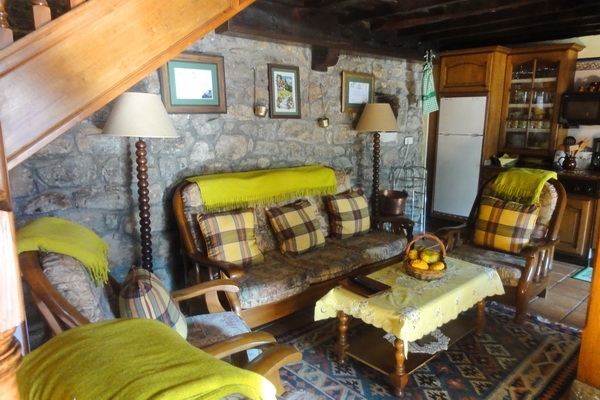 The front door opens into an open plan living room with dining table for 6 people, a 3 seater sofa and three armchairs, a fully equipped kitchen with an old cooking stove, solid wooden cabinets and granite countertops. 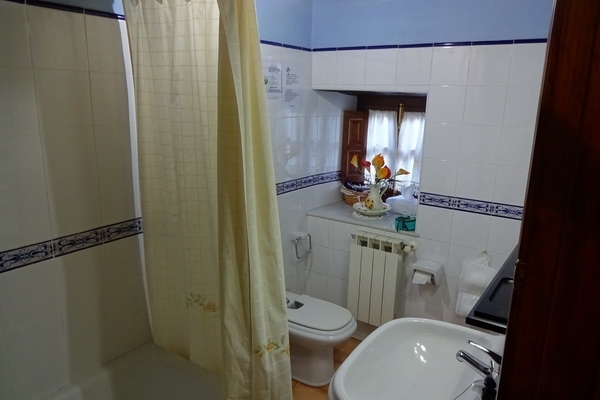 Upstairs a hallway leads to three double bedrooms, one with ensuite, and another complete bathroom with a bathtub. 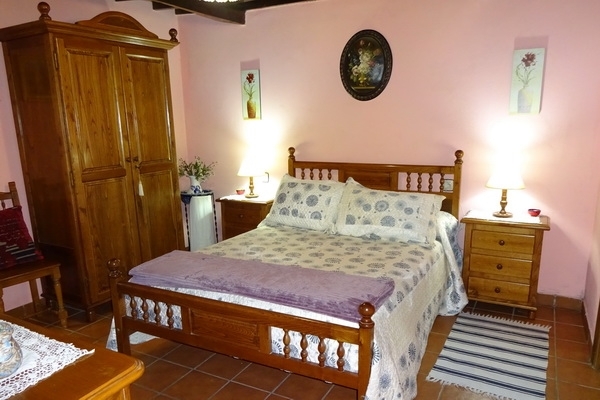 Two bedrooms have access to either a balcony or a small garden, and one has a French balcony. 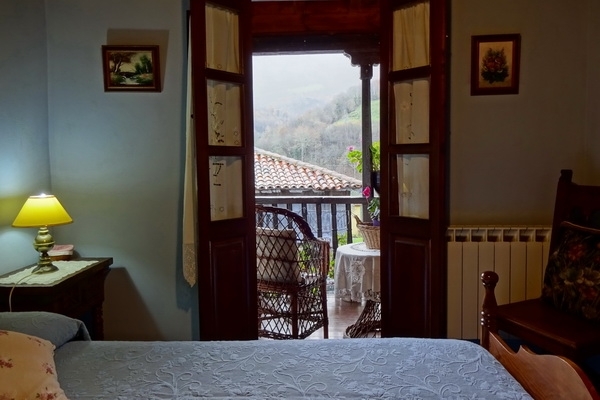 Outside, apart from the small garden that is accessed from either the bedroom or climbing a few steps, the two granaries offer space for outdoor dining and relaxing, and for parking the car. 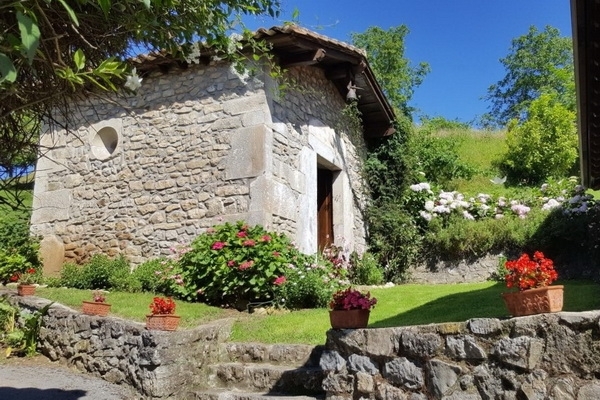 There is also a small chapel bordering the garden, and located at a convenient distance from the house, an area with swings and basketball hoop to be shared with any guests staying in another property nearby. 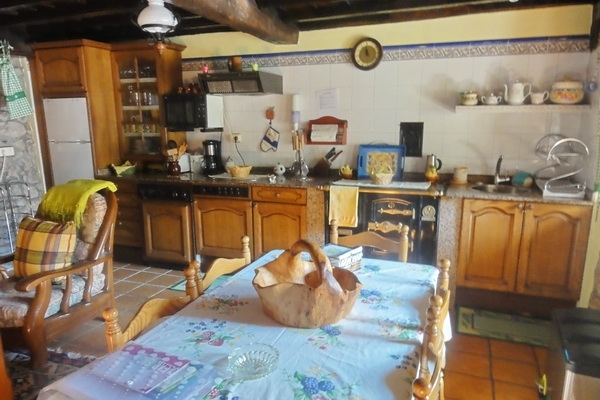 The property is part of an old farm, once owned by a rich Cuban family, comprising a couple of other houses, including the home of the owners and a woodland with a 2km long walking trail, so there is plenty of space for the kids to play and run around without having to worry about the traffic. 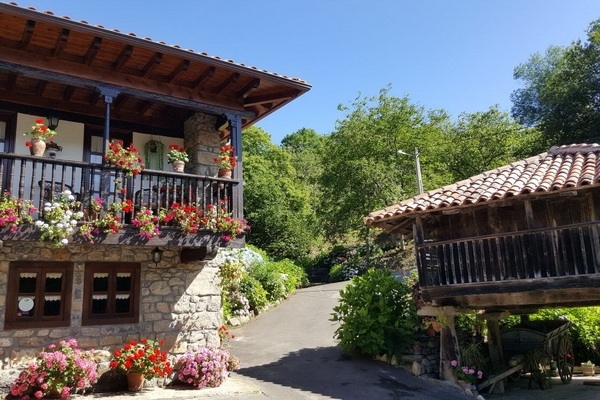 Debodes is a tiny farming hamlet in a stunningly beautiful and peaceful valley in the Sierra de Cuera tucked between the fantastic coastline near Llanes and the magnificent Picos de Europa in Eastern Asturias. Surrounded by mountains and woodlands with rivers running through, a bread van comes daily, but there are no other facilities. However there is a nice bar/ restaurant at one kilometre, another a little further and a good little supermarket at three kilometres. 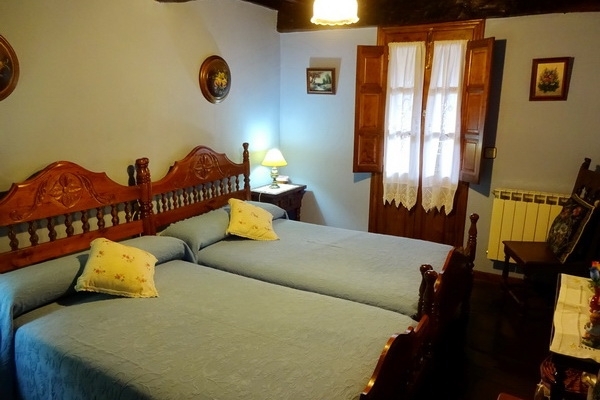 The market town of Posada is a ten minute drive and the busy seaside resort of Llanes, twenty. There are lovely local walks through forests and not far off is a walk up to the summit of Alto de Tornerilla where you get stupendous views of the whole panorama. 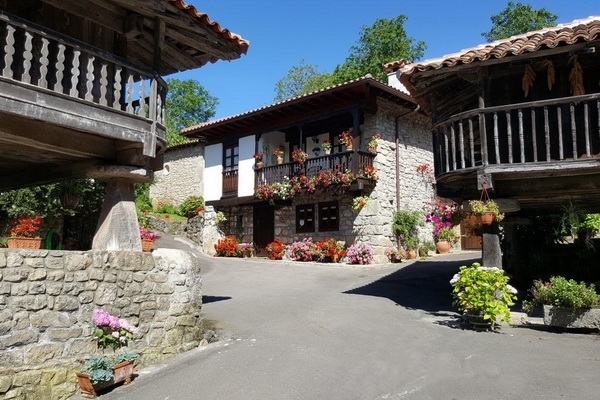 For keen walkers, it is under half an hour to the start of the Ruta de Cares and not much more to the Lagos de Covadonga. The superb, sandy beaches at Barro and Niembru are just fifteen minutes by car. 1. Beaches galore! 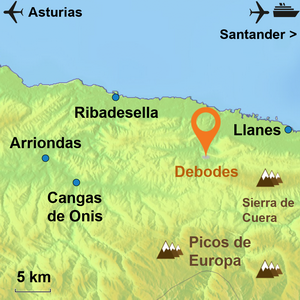 The nearest are the beautiful Playas de Barro and Niembru at 10 kms, but there are 43 to choose from in local area alone! 2. 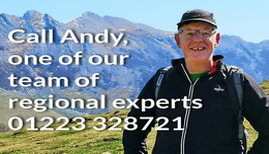 Walking in the immediate area and in the Picos de Europa - there are many signed routes. 4. 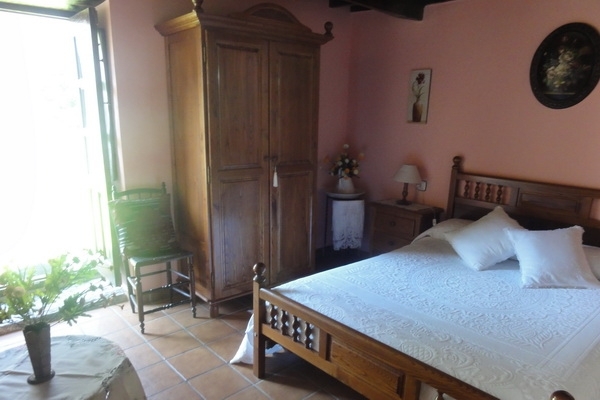 Walk the Ruta de Cares - half an hour away. 5. 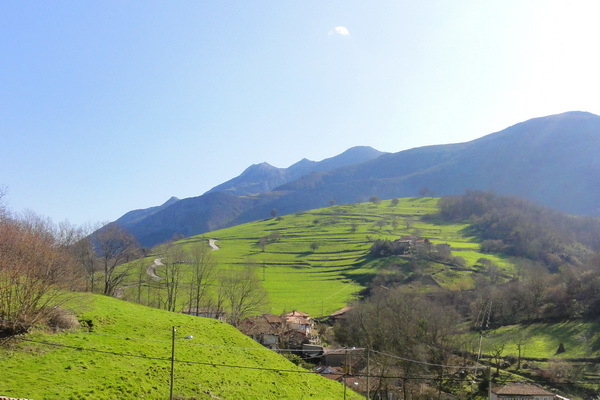 The Lakes of Enol and Encina and the pilgrimage shrine of Covadonga. 6.The "Bufones at Pria - Impressive “bufones” at Pría, near Llanes — observe at first-hand the strength of the sea: the waves shoot up from underground caves and come out through holes made thousands of years ago. 7. The Caves of Tito Bustillo at nearby Ribadesella. 8. Canoeing on the Rio Sella. 9. Local gastronomy - from fabada to great fish and seafood! 10. Fishing (trout and salmon) in the Rio Cares.